SICE Week will be broadcasted on USTREAM. SICE WEEK is an open event for the general public to introduce SICE associated studies and technologies (control, information, robot, etc.) This is a parallel event of SICE annual conference. In SICE WEEK 2010, the following events will be carried out. The language used in the SICE WEEK is Mandarin. Participation to only SICE WEEK events is free of charge. (Note SICE2010 conference is charged). Some robots awarded in Rescue Robot Contest (RRC) 2010 in Japan will be invited to SICE WEEK venue to demonstrate their rescue performance. 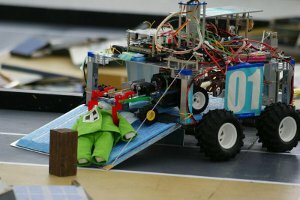 RRC is a robot contest competed by mainly university students, in which the 1/6 scale robots search and rescue 1/6 scale simulated victims (rescue dolls) . 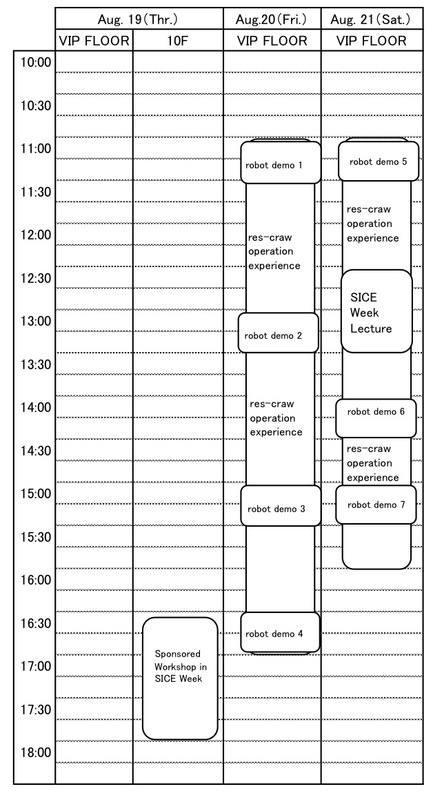 The RRC robot is not real one, but it involves some basic and important technologies for the real rescue robot, e.g., tele-operation and victim manipulation. SICE SI-division has been supported RRC activities. The audience of the demonstration will understand the essences of rescue robot technologies and the passion of the Japanese students. The RRC home page is http://rescue-robot-contest.org/ and the videos are available in YouTube (search with “rescue robot contest 9th”). 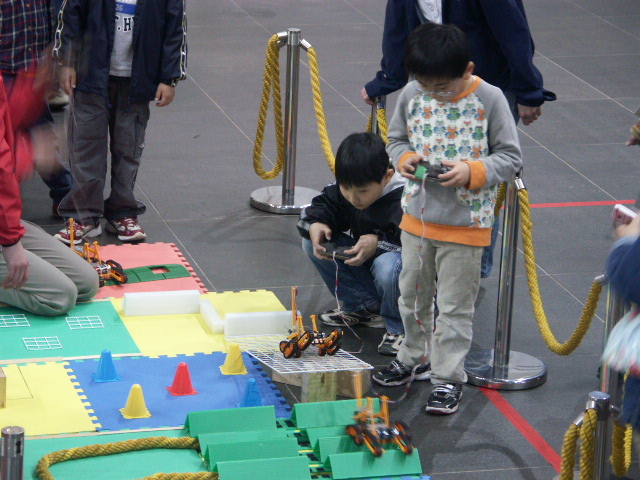 Children can operate "Rescue Crawler", a toy of a rescue robot, on simulated rubbles to understand the mobility on complex terrain. Rescue Crawler had been developed by RRC and Tamiya Inc. The experience could stimulates children’s interest to science and technology. A lecture for general public will be performed by SICE associated researchers. The following lectures are provided with Japanese-Mandarin translation.